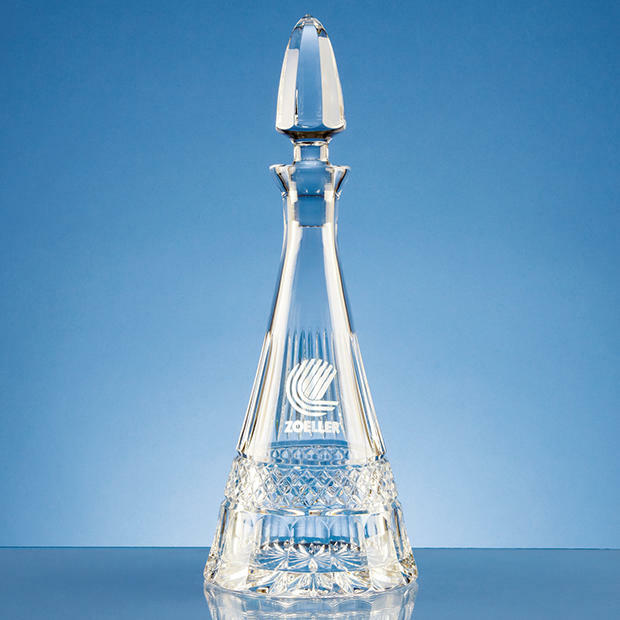 This 24% Lead Crystal modern Pyramid-shaped decanter is handmade. It has a series of contrasting patterns at the base and has a tall facetted stopper. There is ample space for engraving text and logos. A very attractive item for any occasion.